"If you look at some of the more prominent e-commerce and marketplace ventures of today - be it Flipkart, Snapdeal, Zomato, Quikr, Ola, or Housing - you will find that many have founders who did engineering degrees at IIT Delhi or IIT Mumbai." continues Times of India. But the future of the more technology focused startups - the kind that institutions like Stanford produce in droves - may actually be IIT Madras, and the phenomenal success of some companies like Zoho may be early evidence of that. This has to do with the culture of technology research and industry-academia interaction that the institution has fostered for years, and which has touched a new high with a massive research facility that was launched five years ago. 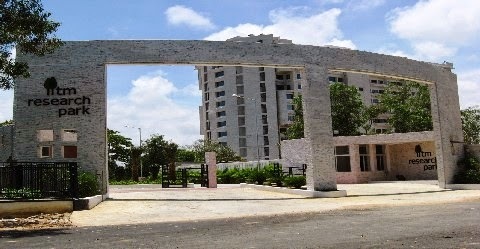 The IIT Madras Research Park was an idea conceptualized by Ashok Jhunjhunwala, professor at the electrical engineering department of IIT-M, and M S Ananth, the then dean of academic courses and later the director of the institute, to create a bridge between innovations created in the classroom and industry. It is spread across 1.2 million sq ft, houses almost 100 entities - research companies, innovation arms of large corporates, startups and incubators - and has already facilitated filing of over 60 patents.